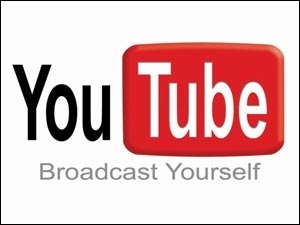 The network will capitalise the opportunities presented by YouTube as a content platform and work to create original content as well as the distribution of produced video content from the Indian market across YouTube channels. Nirvana Digital, a creator and distributor of audio and video content across internet and mobile platforms, has launched YouTube Content Creators Network. The network will work in the area of creation of original content as well as the distribution of produced video content from the Indian market across YouTube channels. Through this network, Nirvana Digital aims to capitalise on the exploding power of YouTube, which at current estimations is at 800 million monthly unique user visits across the globe, and 30 million in India itself. Nirvana Digital's new offering aims to provide an opportunity hitherto unavailable to content creators in India, ranging from individuals to large organisations. The network will enable them to upload content for immediate distribution, monetisation and direction of traffic. Commenting on the opportunity YouTube presents, Pinakin Thakkar, founder, Nirvana Digital, says, "The digital platform is large enough globally for video creators to still have their fame and recognition, and we are here to help creators and content owners push content to a global audience while earning immediate revenue from their videos. YouTube, which delivers one out of every three online videos viewed (according to comScore), has become an increasingly important distribution channel for content creators, established media companies and advertisers." 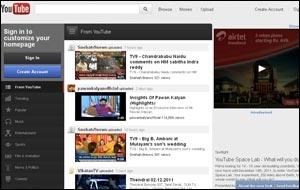 According to the company, existing channel owners also benefit from having their channels added to the Nirvana Digital YouTube Network as the new channel receives relevant traffic from the existing 350 million views on the Nirvana Digital Network, which in turn results in higher monetisation for the channel. Nirvana Digital in the past has monetised content for channels like BollywoodNirvana - Bollywood Films (28 million views), Bolly2Box - Bollywood News and Gossip (20.5 million views), and PlayXone - Video Clips (39 Million views) as part of its existing YouTube content distribution.